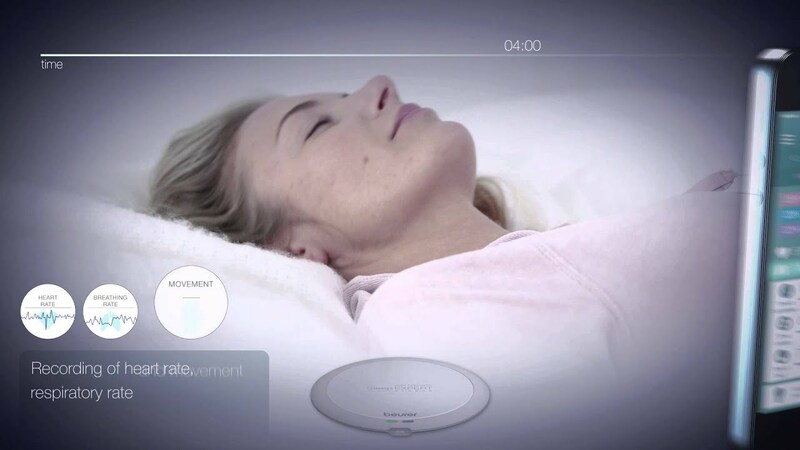 With the sleep sensor, you can monitor your sleep and determine the causes of possible sleep problems. Your sleep activity is continuously and precisely recorded. Your data is evaluated using the free "beurer SleepExpert" app. How is the daily Sleep Score calculated? What is shown in the Sleep Statistic screen? Parameters that contribute to the score as well as a reference comparison to their previous days' average. Your score will appear either in green if it is above the target or in red if it is below target. What is the meaning of the exclamation mark in the Sleep Statistic screen? The exclamation mark indicates when measurements of heart or respiratory rate are out of your baseline range. Is it possible to set a sleep time goal? Yes. You can set your sleep time goal to adjust the score to your personal baseline and to your daily routine and habits. The Fresh Wake is a smart alarm clock that wakes you up in an optimal point of the sleep cycle. Within a range of time you configured and based on your sleep stages during this time frame. In order to use the Fresh Wake function, an active internet connection is required. 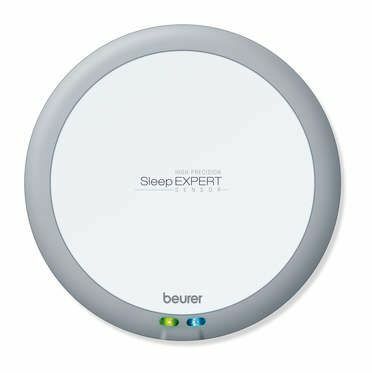 Note for users of Apple devices: In order to use the Fresh Wake function, please enable the notifications for the "beurer SleepExpert" in the device settings. What happens when there is no optimal point during the Fresh Wake time? The alarm clock wakes you up in the last possible moment you have defined in the app before. What are the different available snooze options? Why are they important? There are two snooze options for the Fresh Wake alarm clock. Smart Snooze: Within the set Fresh Wake timeframe the alarm will go off every 5 minutes except you fall again into deep sleep or you have already left the bed. Once the timeframe is over this exceptions are no longer applicable. Persistent Snooze: It will ring until you get up of bed. If you go back to bed within 90 minutes it will start ringing again. The data is saved on the smartphone as the SE 80 SleepExpert does not have its own data memory. The memory capacity required is max. 15 MB per night and max. 360 MB per year. We are currently working on ensuring you can access your data from different devices in future. Why are there no real-time values in the app when I go to bed? The sensor is placed properly under the mattress as described in the user manual or in the Menu > Extras > Tour > Installation. The app indicates that you are in bed: Please lie in bed and wait some minutes until the sensor detects you. No results are coming up, what should I do? The result will only come up when your smartphone is connected to the internet. Your smartphone was shut down during the night, therefore some or all of the night's summary is not available on the app. The message “Sensor disconnected” appears, what is the reason for this? No power supply: Connect the plug to an outlet. A green light will turn on, indicating a power connection. No Bluetooth® connection: Make sure that Bluetooth® is enabled (via smartphone settings). Once pairing is completed, a blue light will turn on, indicating successful connection. Why should I plug in my smartphone overnight? An average consumption during the night, when the app is active and the phone's screen is turned off, is approximately 40 % of the phone's battery capacity (this value may vary for different phone models). To avoid loss of data please make sure your smartphone has power supply. Why is there no snooze button when the alarm clock goes off? You have probably enabled the Persistent Snooze. This means the alarm only will stop if you leave the bed. My smartphone notifies me that the SleepExpert app has an unusually high energy consumption. Why is that? The SleepExpert needs to process a large amount of data during recording. In order to ensure an optimal assessment of your sleep data, it is essential to maintain a permanent connection to your sensor via Bluetooth® . SleepExpert tries to keep energy consumption to a minimum. However, apps that analyse energy consumption can falsely detect this as suspicious activity and issue a warning. You can, however, use the SleepExpert without any concern. We recommend that you connect your smartphone to a power supply overnight during recording if energy consumption is increased. "Out-of-bed"-phases are repeatedly recorded although I am lying in my bed. What are the possible reasons for this? You may be lying too far away from the sensor. In this case, it may be necessary to move the sleep sensor closer to the middle of the bed. Also ensure that the sensor is correctly positioned at shoulder height. Why doesn't the WL 80 play any or some of the mp3 songs? The WL 80 can only play songs from the main directory of the USB stick. Therefore, please do not save songs in folders on your USB stick. Is there a battery in the SE 80 SleepExpert? There is no battery in the SE 80 SleepExpert. Connecting the SE80 SleepExpert to power supply is mandatory during the whole time you would like it to function. Can I use the sensor without the power supply? No. The sensor will not work if it is not connected to the power supply. What is the meaning of the LEDs’ color? The sensor has two LEDs, the green one indicates power and the blue one indicates successful Bluetooth® connection with your smartphone or tablet. How should the sensor be placed in bed? Hold the sensor with the logo facing up. Place the sensor under the mattress approximately 15 cm away from the edge of the bed, in the shoulder area. Please make sure that the sensor cable is not twisted. For additional information about the placement please see the user manual or Menu > Extras > Tour > Installation. What type of mattresses can be used with the SE 80 SleepExpert? Any type of mattress can be used with the SE 80 SleepExpert. However, the sensor does not support a few specific beds and mattresses: water beds, air/gel beds and special mechanical massage mattresses while operating. Can the sleep sensor be used in a box-spring bed? What is the allowed thickness range of the mattress? The allowed thickness range of the mattress is 5-50 cm. Can I use the SE 80 SleepExpert without a mattress? No. Using the SE 80 SleepExpert without a mattress is not supported. Can the sensor be used in a double bed? Yes. Please follow the instruction for sensor placement in the user manual or Menu > Extras > Tour > Installation. Can two people be measured in the same bed? Yes. Each person needs a SE 80 SleepExpert. For additional information, please follow the instruction for sensor placement in the user manual or Menu > Extras > Tour > Installation. Can another person in bed affect my measurements? No. Please take note that the sensor is placed correctly like described in the user manual or Menu > Extras > Tour > Installation. It is recommended to unplug the device when getting up in the morning. What can the SE 80 SleepExpert visualise? How does the sensor measure? 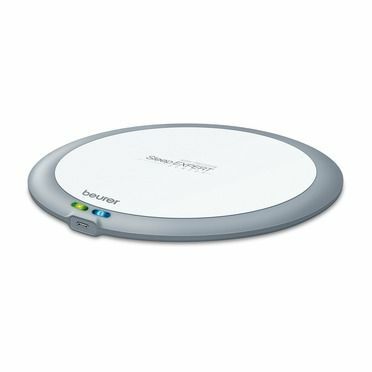 What range of values can the SE 80 SleepExpert measure? The heart rate values range from 30 to 200 beats/minute. Respiratory rate values range from 6 to 65 breaths/minute. How does the sensor communicate with the smartphone? The communication between the SE 80 SleepExpert and the smartphone works with Bluetooth® (low energy). Was the technology of SE 80 SleepExpert validated?